Close your eyes. Stop thinking. Take a breath. And jump. We have all experienced the rush of our beating heart, and the shaking of our bodies the second before we do something brave. It’s a feeling we have all experienced. It’s also something we have watched pass by time and time again when we cannot muster the confidence to break through what binds us. But what motivates our bravery? What is the spur that ignites those intense moments where breakthroughs happen? Fear. 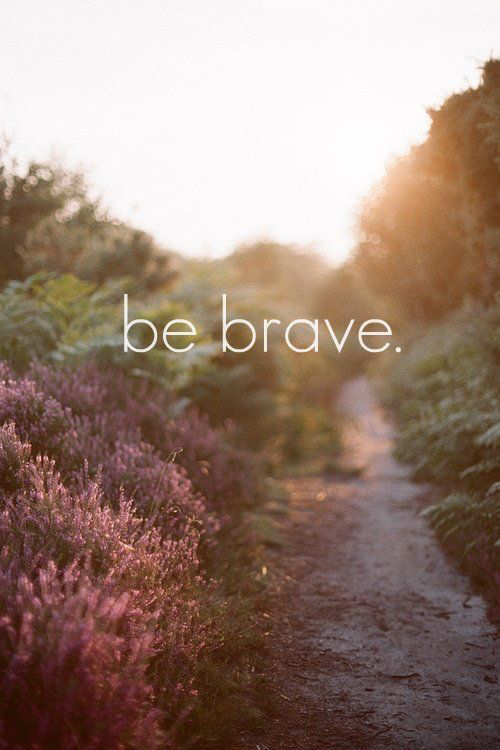 You cannot be brave if you are not afraid. So why is it that fear has gotten such a bad reputation when it is a huge motivator for forward motion in our lives? Perhaps it is misunderstood. Fear is simply an idea that has been given permission by you to control your life. Spend some time with your fear. Understand where it comes from and where it displaces you. 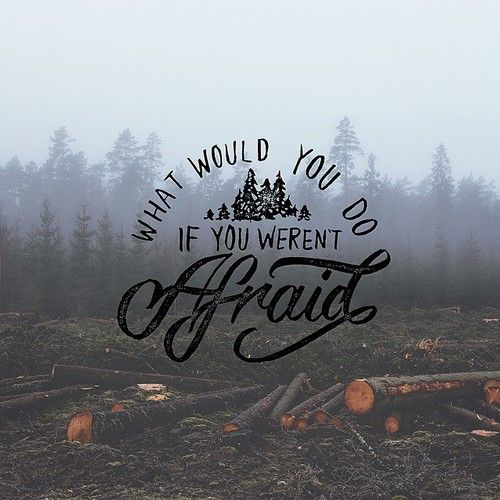 Ask yourself why something makes you feel fearful. Listen. Be honest and kind with yourself. Find out what motivates your bravery and you can conquer the world (or really, just allow it to work with you). Your objective bravery, like public speaking, is blocked by a subjective fear, like fear of judgement. It’s okay to feel this way, let yourself move through the acknowledgement. The process of bravery starts with you and how you treat yourself. 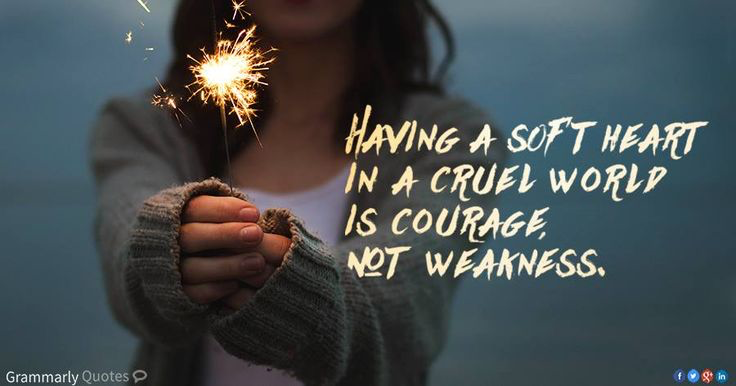 Instead of criticizing and punishing yourself for being afraid or scared, try nurturing the feeling. Tell yourself it is okay to feel that way. Think about how this fear was started and where it gained momentum. You could even recall a memory that has stayed with you and altered your self confidence. Then let it go. Fear only has the power YOU allow it to have over you. An action of bravery is only a reflection of a brave feeling. I’m talking about vulnerability. How often are your fears created from fear of feeling unsafe or vulnerable? What does that say about the world we have created as a whole? How are we contributing to this world that we are all equally tortured by. I present a challenge: Let’s be the bravest of them all. Let’s start a revolution to demolish fear. Let’s be unafraid to bear our souls, to free ourselves from the chains that bind us. Let’s create a reality of love and support for individual beauty. It may seem like a big task in such a large world, so let’s narrow it down. Start with self. Slow down, spend time with yourself and have an inner dialogue. We are all tortured by what other people might think of us. We all are afraid to leave ourselves open and raw for the world to see. It doesn’t matter if your heart races, or your voice shakes; being undeniably you is the most beautiful gift you could give to this entire world. By being yourself, you are an essential inspiration to everyone around you. Love who you are and you will be untouchable from judgement. This revolution happens one person at a time. Once you have created love and support for yourself, recognize it in others. When your friend is scared, reassure them. When your classmate voice shakes during a speech, encourage them. If a stranger is struggling during a performance, cheer them on. Support others and let others support you. This entry was posted in bravery, fear, love and tagged brave, change, evolve, fear, feel, free, humanity, open, revolution, think, vulnerability, writer. Bookmark the permalink. Fear can stop you in your tracks…OR fear can push you and cause you to change, adapt and overcome!